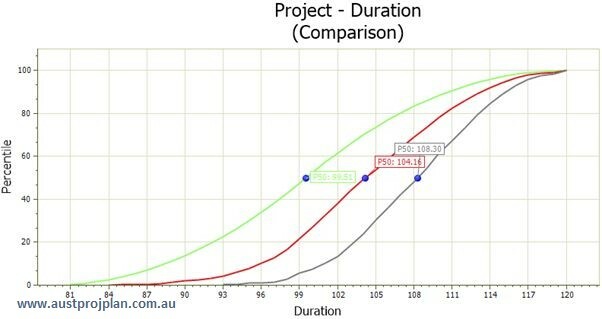 Often when running schedule risk analyses, I get asked “why are the results always showing a late project completion?” This usually gets asked when there is a proportionate (or equal) distribution of schedule opportunity as there are schedule threats. The answer often is due to a phenomena known as Merge Bias, or Nodal Bias, and is a feature that has no equivalent in Cost Risk analysis. It is unique to schedules due to the logical relationships between activities. This article will provide a simple demonstration of Merge Bias and its impact that can assist in explaining why project completion may always return a later than expected result. Consider the following example of a single activity driving a completion milestone, the activity (and whole project) most likely duration is 100days, there is minimum duration of 80days, and a maximum of 120 days. Therefore an equal probability of the activity finishing earlier or later than the original deterministic duration. 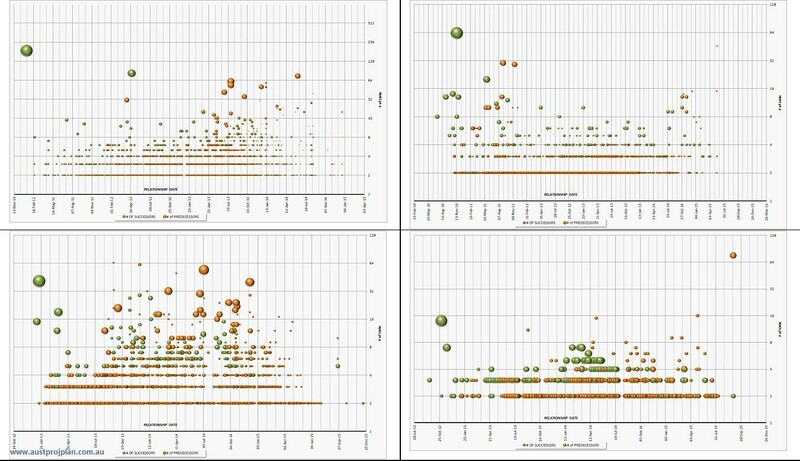 The results of the analyses using Netpoint™ and NetRisk™, are shown below. Given that the completion milestone is driven by all four activities, the only situation where the completion is early, occurs, when ALL four activities are completed early. This only occurs 50% * 50% * 50% * 50%, i.e. in 6.25% of possible outcomes. This is the merge bias effect, and the results for project completion are compounded by the number of merge bias points through a schedule that are effected by schedule risk. As can be seen from the above examples, merge points occur throughout schedules, and can be a significant influence in schedule risk analyses.